Desert Bluecurls. 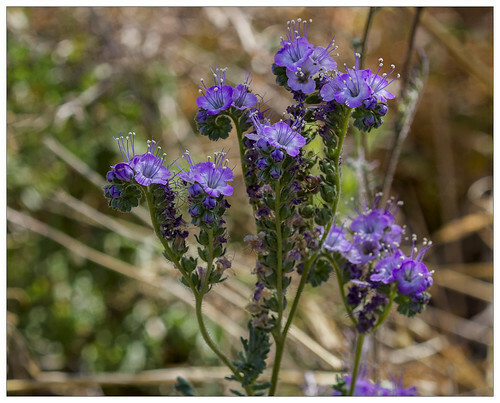 Not all Phacelia have this scorpiod shape for their flowers, but this one does. Always small, this plant likes to settle in among other low-level vegetations.